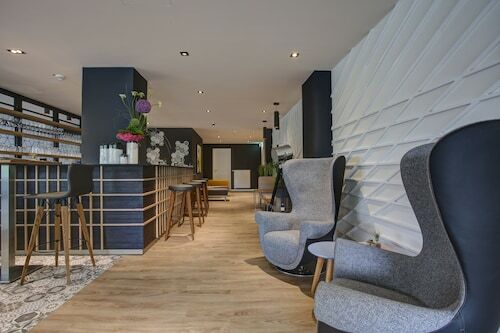 Situated in Luenen, this spa hotel is within a 15-minute walk of St George Church and St Marien Church. Luenen City Museum and Schwansbell Castle are also within 1 mi (2 km). Lünen Central Station is 15 minutes by foot. Located in the heart of Luenen, this historic hotel is within a 10-minute walk of St George Church and St Marien Church. Luenen City Museum and Schwansbell Castle are also within 2 mi (3 km). Lünen Central Station is 16 minutes by foot. Situated in Dortmund, this apartment building is 2.9 mi (4.7 km) from Schwansbell Castle and 3 mi (4.8 km) from Luenen City Museum. St George Church and Royal Saint Barbara's Dortmund Golf Club are also within 6 mi (10 km). Dortmund-Derne Station is 8 minutes by foot and Grevel U-Bahn is 29 minutes. Situated in Luenen, this hotel is within 3 mi (5 km) of St Marien Church, Cappenberg Castle, and St George Church. Schwansbell Castle and Luenen City Museum are also within 6 mi (10 km). Situated in Luenen, this condo building is within 6 mi (10 km) of St George Church, Luenen City Museum, and Schwansbell Castle. St Marien Church and Museum of Natural History are also within 6 mi (10 km). Brambauer Verkehrshof U-Bahn is 14 minutes by foot and Brambauer Krankenhaus U-Bahn is 20 minutes. Located in the heart of Dortmund, this hotel is within 2 mi (3 km) of Westenhellweg Street, Westfalenhallen, and Signal Iduna Park. Westfalenpark Dortmund is 1.9 mi (3.1 km) away. Westentor U-Bahn is only a 4-minute walk and Unionstrasse U-Bahn is 7 minutes. Located in Dortmund City Centre, this hotel is within 2 mi (3 km) of Westenhellweg Street, Westfalenhallen, and Signal Iduna Park. Westfalenpark Dortmund is 2 mi (3.2 km) away. Westentor U-Bahn is only a 2-minute walk and Kampstrasse U-Bahn is 4 minutes. Located in the heart of Dortmund, this hotel is within 2 mi (3 km) of Westenhellweg Street, Westfalenhallen, and Signal Iduna Park. Westfalenpark Dortmund is 2 mi (3.1 km) away. Westentor U-Bahn is only a 2-minute walk and Kampstrasse U-Bahn is 7 minutes. 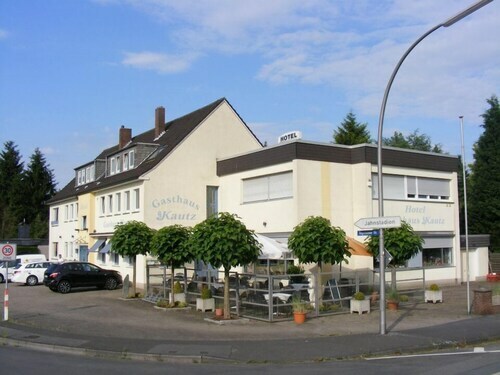 Located in Dortmund City Centre, this hostel is 0.1 mi (0.1 km) from Orchestra Center NRW and within 3 mi (5 km) of Westfalenhallen and Signal Iduna Park. Westfalenpark Dortmund is 2.2 mi (3.5 km) away. Dortmund Central Station is only a 5-minute walk and Kampstrasse U-Bahn is 6 minutes. 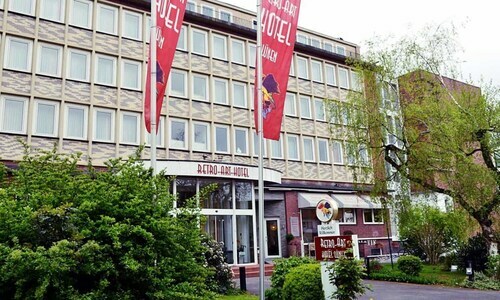 Located in the heart of Dortmund, this hotel is 0.4 mi (0.6 km) from Museum of Natural History and within 3 mi (5 km) of Westfalenhallen and Signal Iduna Park. Dortmund Brewery Museum and Steinwache Memorial and Museum are also within 1 mi (2 km). Lortzingstrasse U-Bahn is only a 3-minute walk and Immermannstrasse - Klinikzentrum U-Bahn is 5 minutes. 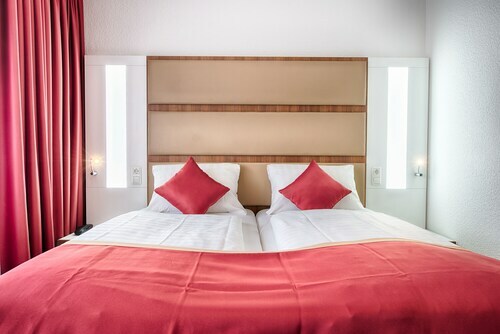 Situated in Dortmund, this hotel is 0.1 mi (0.1 km) from Museum of Art and Cultural History and within 3 mi (5 km) of Westfalenhallen and Signal Iduna Park. Westfalenpark Dortmund is 2.1 mi (3.4 km) away. Kampstrasse U-Bahn and Dortmund Central Station are within a 5-minute walk. Located in Kamen-Mitte, this hotel is within 9 mi (15 km) of Open-Air Theater, Old Stone House, and St George Church. St Marien Church and Schwansbell Castle are also within 9 mi (15 km). Kamen Station is 21 minutes by foot. A trip to Schwansbell Castle is a fantastic experience for those who want to really understand the events of this region's past. If you decide to check it out, your adventure will take you to Dortmund, 110 miles (177 kilometers) from the capital of the state, Mainz. Unfortunately, hotels close to Schwansbell Castle are rather lacking in number. 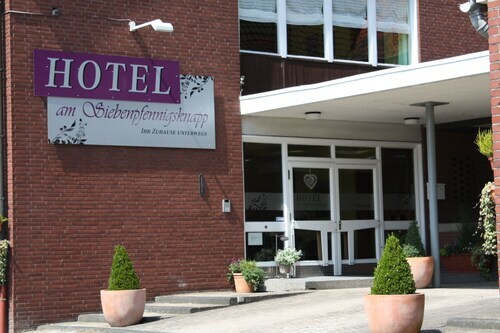 The Retro - Art - Hotel Lünen, just 1 mile (2 kilometers) away, is the closest. Why fork out large sums of cash for a hotel when you could spend a few nights at the A&O Dortmund Hauptbahnhof? You won't need to go very far as it's just 7 miles (11 kilometers) away. Are you a traveler who has lavish tastes? You'll find a few upmarket hotels situated a quick drive away. 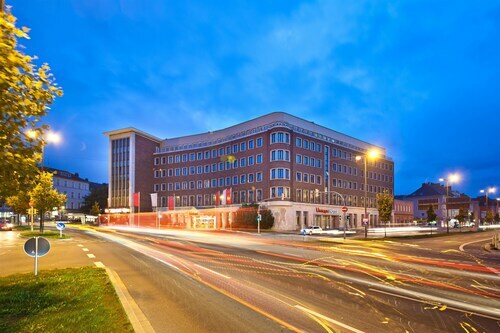 The TOP Hotel Esplanade Dortmund and NH Dortmund are perfect choices that you should consider. If you're sure your mind is slow and sluggish without a piping hot cup of coffee, head to Cafe Del Sol Lünen (Lindenplatz 1, Lünen). You can also go to Zur Süggel (Bebelstraße 72, Lünen), an enduring favorite with out-of-towners and locals alike. Take a look at the educational exhibits that are displayed at Luenen City Museum. Make your way to St George Church and become acquainted with the spiritual side of the area. Looking to go at a calmer pace? Make arrangements to check out St Marien Church, a pleasant place of worship. Explore Schloss Cappenberg. This historic castle is sure to fascinate you. Imagine life in times of old as you participate in a guided tour of Cappenberg Castle, a local historic castle. If you want a convenient way to get to Schwansbell Castle, all you need to do is hop aboard the metro to Lünen Hbf, 1 mile (2 kilometers) away. How Much is a Hotel Room in Schwansbell Castle? Hotels in Schwansbell Castle start at $14 per night. Prices and availability subject to change. Additional terms may apply.